The power of Kobalt in the palm of your hand. 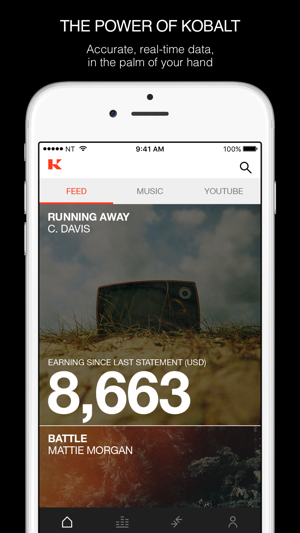 The Kobalt App gives clients quick, simple and powerful access to their income data, synch activity, and music usage in real time, wherever they go. 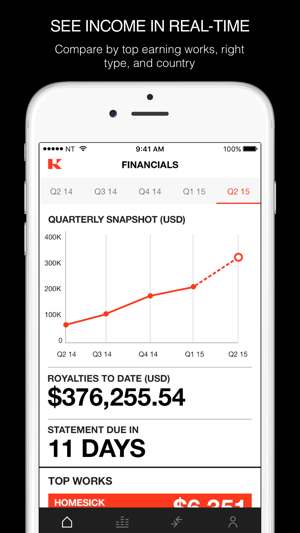 With Touch ID™, you can see how much money you’ve made in seconds, then you can drill down by work, right type, territory and compare across quarters. 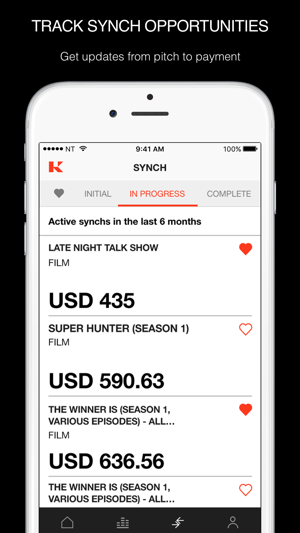 Updates help you stay on top of your most important synch opportunities, tracking process from pitch to payment. Scroll through a personalised feed with your latest income data, key industry news, latest synchs, and Youtube UGC updates. Discover your music in YouTube. Whether it’s your official video, a cover of your song, or a viral sensation, you’ll know exactly how many views we’re monetizing. 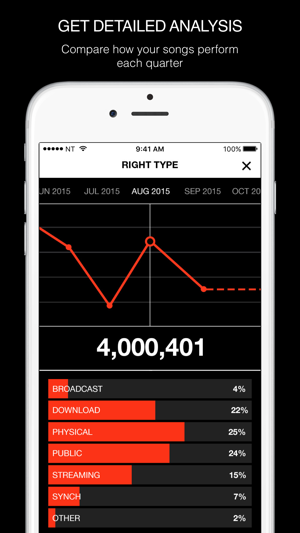 The app is currently only available to Kobalt Music Publishing and Neighbouring Rights clients. If you’re a client of Kobalt’s Label Services, you won’t be able to access the app. 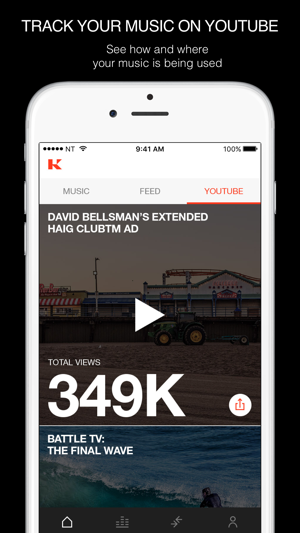 Kobalt is the world’s leading independent music services company. Kobalt’s Music Publishing, Label Services, and Neighbouring Rights divisions each offer an alternative to the traditional music business model, empowering artists, songwriters, publishers and labels with advanced technology, transparency, flexibility, ownership and control. Kobalt’s innovative technology solutions are designed to maximize efficiency and accuracy across the billions of micro-payments collected in today’s highly complex digital world. 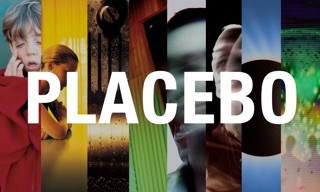 If you’re not a Kobalt client and would like to learn more, please visit kobaltmusic.com. Fixed issue with navigation bar. Big leap forward as always with Kobalt services.